You always have to improve! We caught up with the living legend to find out more about his early childhood, his daily routine, his personal interests and passions, his individual style sense, and much more. 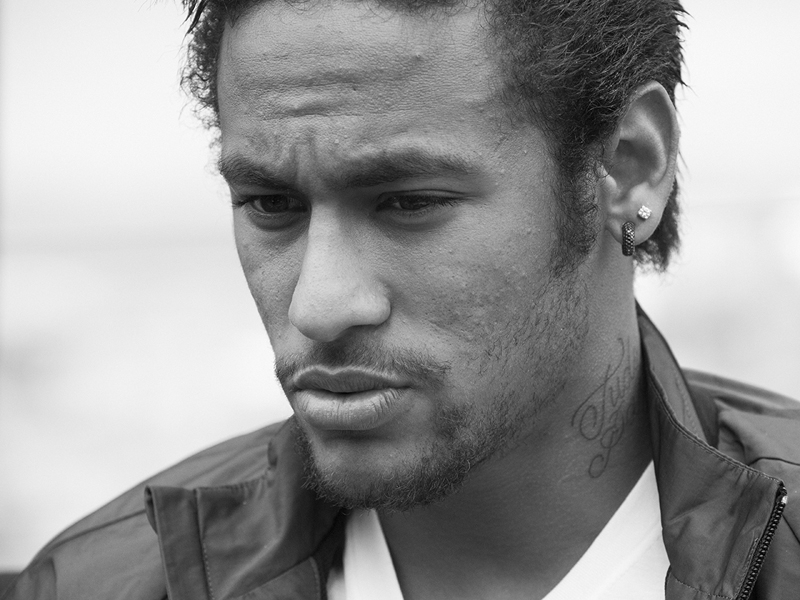 Neymar da Silva Santos Júnior, commonly known as Neymar, is a Brazilian footballer who plays for Paris Saint Germain and the Brazilian national team, as a forward or winger. Known for his acceleration, speed, dribbling, finishing and ability with both feet, his playing style has earned him critical acclaim, with fans, media and former players drawing comparison to former Brazil forward Pelé, whose described Neymar “an excellent player,” while Ronaldinho has claimed “he will be the best in the world.” The eyes of the world have been on Neymar since the announcement of his high-profile move to Barcelona in Spain and later PSG in France. 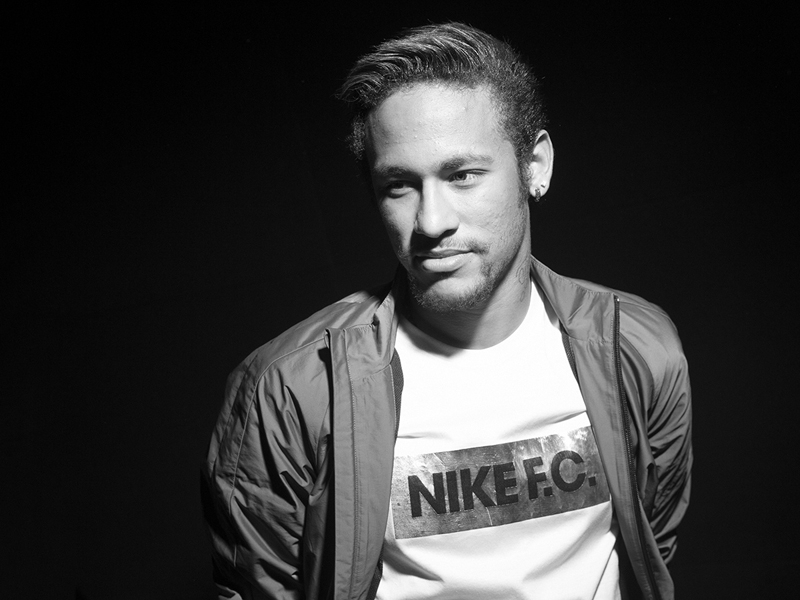 Neymar, you seem so flamboyant, so full of life. Have you always been this way? Since I was little, I have always been very cheerful and playful with everyone. I like to enjoy myself! You have said you had a very humble upbringing. How happy a childhood was yours? I did what every other boy of my age did and I have a lot of wonderful memories. I had a humble childhood, yes, but everything that my friends and I did was fun. Playing with a ball in the street, on the beach, flying kites, riding bikes, tag, hide-and-seek. It was a very good time! We will come to football but what were your other interests as a kid. For instance, you love music and dancing; were you always wanting to dance and to perform? I have an aunt and uncle who play the cavaquinho (guitar), so there has always been music at home. Samba, pagoda, gospel and other rhythms, could always be heard at home. And I’ve always liked dancing. Your father was a footballer. Was it a case of having a football in your cot as a baby? I think so… And I’m sure it had a big influence on me becoming a player. Whenever I could, I went with my father to training and matches so I grew up in that environment. He was the one that taught me to play and gave me advice about football from when I was little. What sort of player was your dad? In terms of style what has he passed onto you? He always says that he was a player that tried hard! I remember my father more as a footballer towards the end of his career, because I was very little when he first started playing. But I remember the era in which he played and stood out [laughs]. A little while ago we watched a video of a match in which he scored a goal with his head and in the celebration he looks like a madman, doing a handstand and ending up dancing. I think my inspiration when I celebrate comes from him, but I am a better dancer [laughs]. Tell us about the sort of football you would play growing up? I believe you played a lot of Futsal. What did that smaller sided game teach you? I played with a ball a lot in the street, on the beach, and Futsal has always been part of my life since I was small. It was the pitch I began to compete and train on. I think Futsal is essential for any player, because it makes you think very quickly, with short swerves and quick passing and shooting. Futsal almost certainly helped me a lot, above all because I was a forward. When you play today – even in the biggest of games – do you feel that same excitement that you had as a kid? I feel it! I still have that feeling in my stomach in a championship final, and in every important match. Was it always important to stand out as a footballer, to show off your individual skills? Football is a team game and I go onto the pitch to help my teammates. Of course, within the team individual talent helps and each team has to have it, but in the end the winner is the team. Now as a professional, are you still determined to work hard on any weakness - however small? What about the things you are fantastic at? How hard do you work on those? You always have to improve. From when I was little, my father told me to finish a training session exhausted and that is what I do to this day. You can always improve on shooting with your left foot, marking, finishing, heading, whatever, I always work to develop and I cannot stop. For instance you are very good with your head. Is that something you have worked hard on? I am not a tall player, but because I do not have that characteristic I spend a lot of time training with the ball and on the right moment to go up and make a move. It also has a lot to do with how the wingers pass the ball to me, whether it is effective or not, to see whether to head to the side or the front. It is a matter of training and commitment. Having said that, you are also an entertainer, a young good-looking player who has fans off their seats. Do you feel a responsibility to do just that? It took me a while to get used to all that, but now I know what I represent for the fans and for people. At the start it was a bit strange, but when I go to places and see people’s reaction and affection it is very gratifying. So you work hard and want to entertain. Does that reflect your personality away from football? I am the same person all the time and happiness is the most important thing for me, on and off the pitch. I am sure being happy is reflected in my daily life. What are you like with your friends? Do you like to be the centre of attention? What makes you laugh? I like being at home, doing nothing, talking, playing cards, videogames, listening to music. No one is the centre of attention. Everyone is treated in the same way. Other than football, what are you most passionate about? I like being with my family and friends, doing barbecues, playing videogames, playing cards, go-kart racing – there are lots of things that I like! If we turned on your iPhone and search for music right now, what would be on it? You play for perhaps the most famous club and country in the world. That brings pressure. How do you relax? Can we ask about your routine? Footballers have plenty of time after training. What do you like to do with your day? When I am not training, concentrating, playing or involved with some personal commitment, I am at home or I go out to eat or for a walk and get to know Barcelona a little better. You now live in a new city a long way from home. How do you unwind after a match? I go home and have supper with my family and friends! You also have a very individual style and fashion sense. Is it very important to stand out? I do not dress to seek attention in any way. I like to feel comfortable and wear clothes that I like and that suit me. What about scoring goals? To score a goal means you – for that moment – are the star. The center of the universe! How much pleasure does that bring you? A goal is a moment of pure happiness, of satisfaction. But helping your team to win is the best of all. The first time I was called to the senior team was a moment of great joy, the fulfillment of a childhood dream. I think of your debut for Brazil against the USA in 2010 in which you scored. Can you describe the emotions of that moment? The dream of every athlete is to represent their country. To wear the Brazil national football team shirt, which has been worn by important football idols, was a moment of great happiness, an honor for me. The first time I was called to the senior team was a moment of great joy, the fulfillment of a childhood dream. You seem to love sharing your success and your happiness with your friends and family. What do they mean to you? They mean everything to me. I go onto the pitch and give my best for them, especially for my family who has supported me and helped me to achieve so many things in my personal and professional life. What’s been the biggest change in your life since moving to Europe? I think being far away from friends and my family, as well as the different weather conditions and the food. But I’m adapting already! What was it like playing alongside some of the game’s greatest players, Messi, Xavi, Iniesta? It’s an honour for me. They’re all amazing footballers and excellent people on and off the pitch! It’s a privilege that only few people have, and I am so happy to have played with them. Do you think your playing style has changed? No – my way of playing hasn’t changed, it has evolved and I’ve gained more experience for sure, but my style hasn’t changed. Do you have any ritual or superstition before getting on the pitch? I don’t have any specific ritual. I prepare for the game normally and I always pray before each match. What does being elegant mean for you? I think that being elegant is wearing specific clothes or suitable clothes for each situation, but also having your own style of dressing. What does come first? Comfort or style? You have changed your way of dressing since you came to Europe? Why? I always try to have my own style, because it is the way I like to dress and feel good. Here the climate is different, it is colder, so I ended up investing more in winter clothes. I am practically turning into a European when it comes to dressing [laughs]. Do you like to take care of yourself and look good? I take care of myself, but not excessively. You have to look after yourself, use cologne, moisturizer – particularly in Barcelona where it can be cold – but without being over the top about it. Is there a piece of clothing or sneaker that you wear more than others? I like the Air Max and Jordan sneaker lines! I also really like to wear items from my own collection such as backpacks, hats, shirts and gloves!